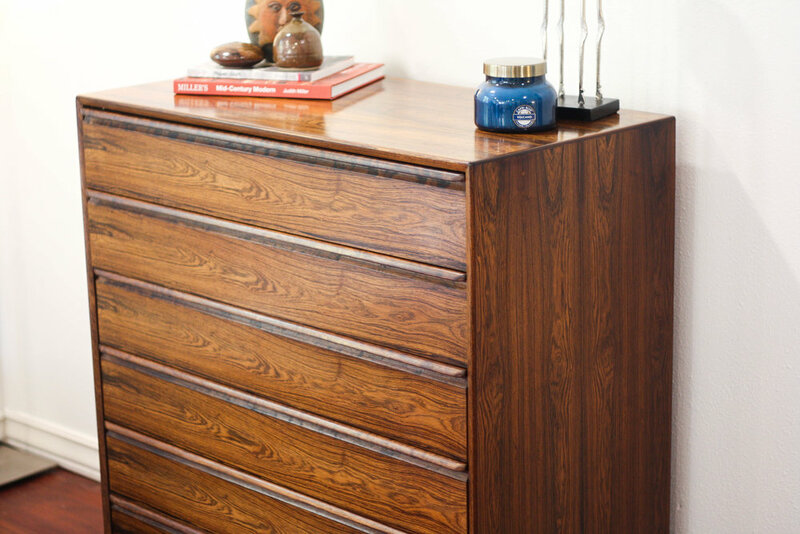 A beautiful rosewood six-drawer chest by Westnofa of Norway. Highly figured rosewood veneer with solid rosewood molded handles. 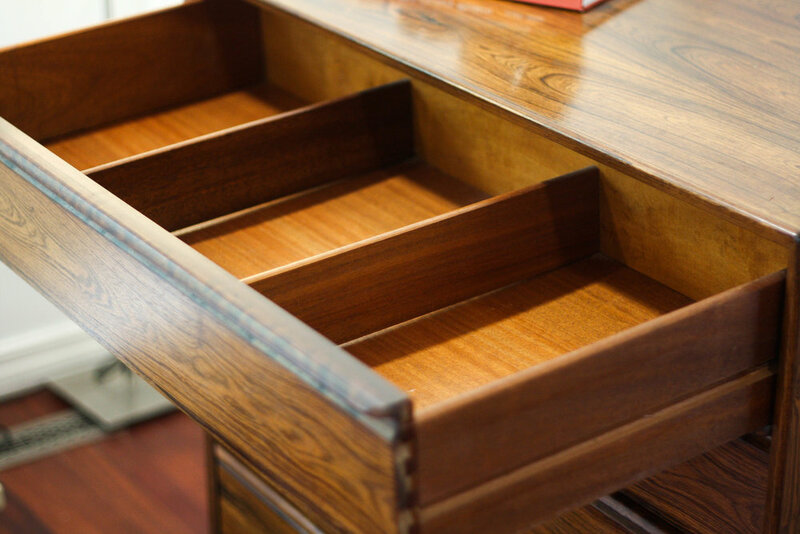 Fully finished mahogany inside the drawers. 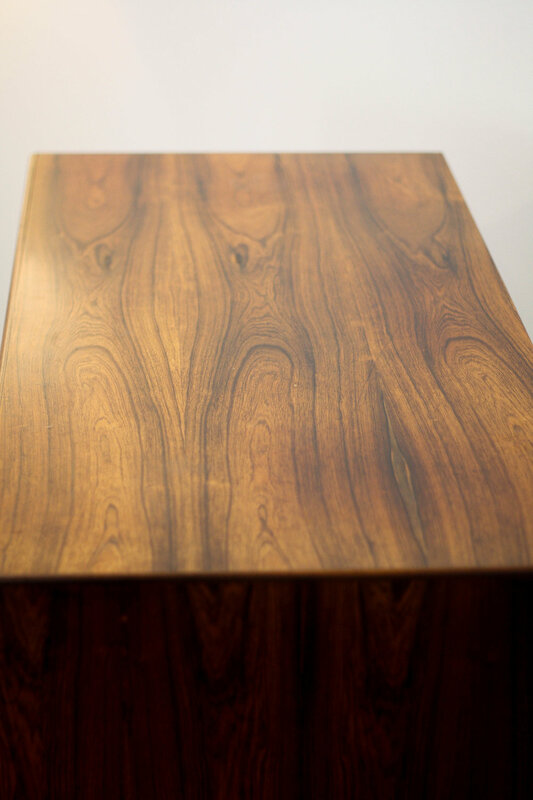 Rosewood plinth base provides a subtle floating effect. Condition: Rock solid and fairly heavy. Drawers slide wonderfully. As is the case with most mid century pieces, it will have signs of wear like light scratches, markings and patina, but as you can see in the photos there are no glaring red flag issues. It shows beautifully.